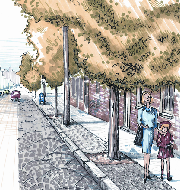 The Gifford Design Group provided planning services in the creation of concept plans for Streetscape Improvements along Warren Avenue in the City of East Providence. These concepts were created to provide the City with ideas for improving the image and pedestrian qualities of Warren Ave. 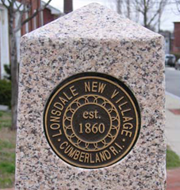 The Gifford Design Group prepared concept designs and construction documents for Aesthetic Image Improvements within the Historic Lonsdale Mill Village of Cumberland. The designs involved many streetscape improvements, street "pocket parks," and conceptual studies of land use for privately owned properties. The first phase of the project was completed during the summer of 2001.